Five experts with a ring-side view of Indian podcasts offer opinions on how 2018 went and what the new year holds. The year ahead is expected to be big for podcasts globally, after a solid 2018. With Google entering the game, revenues in America reaching $700 million, advertisers appreciating how loyal audiences are and many more creators looking to use the medium, podcasts are expected to cement their status as solidly mainstream. Things aren’t quite the same in India where the medium remains niche and still does not have high adoption or revenue. 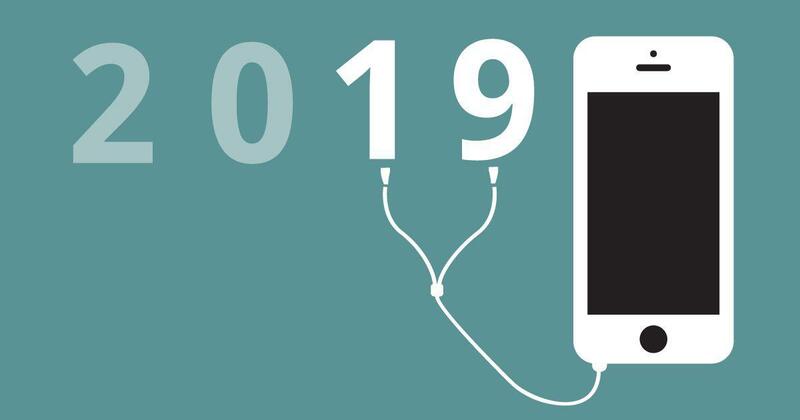 What does 2019 hold for the podcast industry in India? To answer that question, we spoke to a number of people who pay close attention to podcasts, either as analysts or as creators, in the hope of understanding how 2018 went and whether this is the year that will bring Indian podcasting its “breakout” moment. We also asked them if there were any podcasts they would like to highlight. Usha Raman, writer and academic who has a fortnightly column on podcasts in the Hindu. In some ways 2018 may be the year of “coming into its own” of the Indian podcast. Several new indie shows got off the ground, other mainstream media outlets began looking at podcasting seriously, and old-timers like the BBC began seriously considering the Indian podcast-listening market. So I guess I was pleasantly surprised, to discover that we are getting on the podcasting bandwagon after all, and with some energy! I was surprised to see the energy with which The Indian Express for one has embraced podcasting, with so many new shows. They’ve done a good job of drawing on some seasoned voices (like Sandip Roy) and bringing in fresh new talent with an ear (and a voice) for the medium. It was also nice to see so many indie producers. With more and more people finding ways to pass the time while dealing with traffic, commuting long distances, I think the market is only going to grow. It’s also heartening to see platforms like Saavn and others investing in distributing podcasts, making them more discoverable by audiences that may not proactively look for them. We need more variety...more creative non-fiction on the lines of This American Life or RadioLab, and better interview shows...We also need to have better sound design, more attention to voice quality and delivery style. We already have a listening culture – everyone listens to music – so it should not be too hard to get our audiences to attune themselves to listening to the spoken word. The Express podcasts are a welcome addition to the space. I have particularly enjoyed listening to Ameya Nagarajan’s series, Water and Hear Me Too, and the daily news podcast 3 Things is something I try to catch every day. I was also interested in Kalki’s new podcast for BBC, My Indian Life, but I think it speaks mainly to younger audiences (as do many podcasts in India). Another excellent podcast I discovered (it’s an older one but I found it in 2018) is Arre’s version of Avirook Sen’s book, The Arushi Files, presented by Nishita Jha. It was actually the closest in terms of quality of packaging and delivery to some of the best American podcasts I’ve heard. Abhinandan Sekhri, Co-founder and CEO of Newslaundry, and host of the NL Hafta podcast. I did not consume too many new Indian podcasts [in 2018]. I tried a few and none of them stuck. I tried some of yours, the ones of the Express group, and I will say I was disappointed, I expected a lot more. My regular listens remain international podcasts. I tried the Mint ones also. In the podcast space, hopefully 2019 will see Indians do more. I heard Kalki’s [BBC’s Kalki Presents: My Indian Life]. I was a little disappointed, I thought they would have done more, as opposed to just a conversation. That was the only one that was not really newsy. I also tried to get hooked on to Cyrus’ show [Cyrus Says with Cyrus Broacha], but I only heard a couple. None of them has become a habit. But internationally, I listened to podcasts more than reading and television. So I would really like listen to something desi that is not Newslaundry. All our podcasts get decent numbers, but I will say that our podcasts are a little lazy in the sense they are a bunch of people sitting around chatting. We came up of a couple of episodes, Let’s Talk About, Objectivity, and one on Naxalism, which had more research, production and post-production. We’d like to do a lot more of those. Right now podcasts are gabfests, which is working but not necessarily good. In 2019, I think podcasts will become this buzzword, so you’ll see a lot of people doing podcasts. I still think the larger parties, like the Times group and others will not get into it with seriousness, because right now in India monetising is still happening through video and text. The collapse of video hasn’t happened. 2020 might be the time the bigger ones get into the game. But in 2019 the smaller players will get into it. We’ll have to launch innovative ways to reach out with podcasts, just like how India invented the missed call. We’ll have to do things like sending out podcasts through WhatsApp. A report last year said that India will be one of the places that people first discover the internet through voice and not text. Our lives are optimised for audio consumption, not video. I’m a little biased in this answer because we set up and launched Express Audio, so of course I think 2018 was a landmark year for Indian podcasting! But, bias aside, it really seems like it was the first year of Indian podcasting in many ways. Lots of new shows, lots of new players and, by the end of 2018, lots of people who know what a podcast is. That’s what defines 2018 for me: it’s the year when more than half the people I meet randomly found out what a podcast is. When we began Express Audio back in February I had a little speech I’d give to explain what I was doing, but by the end of the year all I need to say is “I make podcasts” and many people got it. Distribution and data collection are still coalescing, marketing and discovery are also still nascent. It’s really difficult to identify and segment listeners because they listen all over the place. Once those things start to streamline, I expect all of this – distribution, marketing, discovery and consumption – to become exponentially easier. It’s definitely getting hotter! I think we’ll see some competition and a lot more awareness. We should also see some reliable numbers on consumption and more shows in Indian languages. We might see some shows dying and we’ll definitely see a lot more shows coming up. Exciting times! Creation: I think we’ll see more people coming in and some people heading out. We should see a willingness to invest in creation. A year is a long time though so we might see the willingness to invest fade by the end too. Distribution: It’s likely to get harder to find shows at first but it should be more organised by the end of the year. I expect we’ll have a rush of shows and distribution at first, which would make it tough to find things, but all that should streamline over time. Monetisation: The holy grail! Well my understanding of podcasting is that it’s a long term field, with a slow build. Monetisation is still not something they’ve figured out in the most robust market – the US – so I think it’s early days yet to say anything about it. I’ve always loved The Intersection from Audiomatic. I don’t know how seriously you’ll take me, for obvious reasons, when I say that my favourite show of the year was Glimpses of the Future, which is one of ours. I’m also really happy with how Express Elections turned out. Bhuvanesh, creator of Podhead, a community-powered podcast recommendation platform, and Podtalk, a newsletter about podcasts. Overall I would term it as a decent year, but I’ll also admit that I might have certain over expectations of the space. I was particularly excited about big names like Indian Express, Moneycontrol, BBC (My Indian Life), The Quint, Newslaundry (new shows) making their podcasting forays. With such big names, it brings a lot of credibility to a medium which still sometimes struggles to be taken seriously world over. They also have captive audiences and a lot of digital real estate. I admit being a bit disappointed with the number of shows launched, but I also know that this is a bit irrational given that relative nascence of the medium. This is also coloured by the fact that about 200,000 podcasts were launched last year and the total number of podcasts in India are under 700. Amazon Audible’s entry into the space and the launch of Google Podcasts are two other big moments in the year for me. Given the state of traffic in our cities, Audible can potentially create that audio listening culture. The expectation being, it can serve as a gateway drug for podcast addicts. I don’t know if you’ve seen Tom Webster’s manifesto. In that he says that we need more “high-quality crap” and I agree with him. We need more creators to make more shows, good or bad: that’s beside the point. The thing is given the linguistic and demographic diversity of India we need a massive flow of all types of context. In fact, if you look at the evolution of podcasting, this is how it worked. A bunch of early enthusiasts creating shows about things they found interesting. Once the medium was seeded and exhibited signs of commercial viability then the organisations jumped. The Indian scene currently resembles that path. We have a whole bunch of independent creators and some big media houses and organisations creating shows. But yes, to sum up, more content is the name of the game. I think we are a very early stage to be discussion given that the audiences are just trickling in. Having said that, I think creators shouldn’t shy away from talking to their audiences and ask them to support them. There are certain impediments here in terms of the financial infrastructure. Although payments in India have seen a rapid evolution in India, we still lack seamless options for recurring payments. This is a stumbling block for a Patreon type of a platform to take shape in India. Last year we saw in-app tipping from RadioPublic and Anchor which is kind of cool. Listeners can choose to make whatever small contributions they can make. I hope we such small developments in the Indian context. Thale Harate, a Kannada podcast, and Curry Podcasts a Tamil podcast were particularly interesting. Given the paucity of regional language podcasts, these two shows are a breath of fresh air. They reminded me of this line from an old Livemint article about India’s “Serial moment”. I think, Indian won’t and can’t have just one Serial moment but rather multiple moments across languages. Colaba Cartel was an interesting show given the topic and the structure of the show. We need more experimentation with topics and formats, given the Indian really doesn’t have an audio culture unlike the US or the UK where giants like NPR and BBC have influenced generations. Newslaundry is an interesting media house which seems keen on podcasts. NL Hafta and Reporters Without Orders are two interesting political/current affairs podcasts. They have done a really great job given that constructive and critical political conversations and debate are as rare as a unicorn in India. In the US, political talk podcasts from Crooked Media saw some insane success and India is starved for content on that front. Wordy Woodpecker and Baalgatha are two other shows that are really well made. 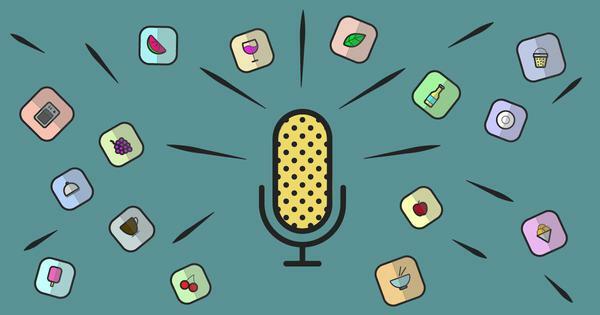 In other parts of the world, podcasts are starting to mature a lot, so a lot of Indian brands are thinking of how to work in the medium. People who had never heard of podcasts before started getting interesting, and I think we found our legs. In particular the entry of Google Podcasts is important. They have a very interesting strategy, where the podcast is integrated into the search function. Now all of a sudden you hear about a podcast, search for it and boom there’s a play button. 2018 has been a difficult year in some ways. Traffic is increasing, costs are increasing and that becomes difficult to manage, and at the same time monetisation is tough. You still see very few ads, but you’re starting to see branded podcasts which is good and interesting. Our challenge is getting people to understand that listening to 45 minutes of conversation is really interesting, it’s not like you’re sitting and listening to a lecture. Our biggest challenge is to get people to understand the form. One of the challenges is how do you make money. Mark Cuban said “revenue solves all issues”. So, for example, we’re not marketing much. But if we really want to grow the space, we need to be able to spend some money on a new show, and that’s how you build larger audiences. Once you start seeing larger revenue at that point in time you can start spending time on getting the broader public into the space. Once you see that happen, it will be a virtuous cycle. I can start seeing significant revenues start to come this way in 2019. I’ve been a big believer in the idea that the best forms of conversational media are 25-minutes plus. I felt like doing extremely short shows is not the best way. But we’ve done two shows in the 5 minute format, Wordy Wordpecker, and another, called Habit Doctor. And they’ve done great. As you start looking at this, you realise that the thoughts you might have had initially are not how things will play out. You might get deeper engagement and form more appointment-listening habits with longer shows, but short shows do really well. I’m really interested in the stuff that’s going on in the fiction space, so we’re starting to work on those more. We also want to do a number of live shows – that becomes an interesting way to bring additional revenue and create a connect with the audience. The Seen and the Unseen, one of IVM’s shows, which has recently had guests like Steven Pinker, Shashi Tharoor. Podcasts from Bill Simmons’ network, the Ringer, including those by basketball players JJ Reddick and Simmons’ own show.